Thank you for all of your patience and support as we moved to our new Business home several weeks ago! 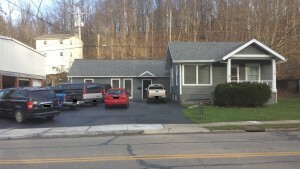 We are now happily moved into our new office space at 486 Richland Ave. Athens OH 45701. Overall, the move went very well! We had a total of 7 staff members moving equipment and taking great care of our servers to ensure minimal downtime. They started working Friday at 9pm after a full day’s work (although a few never stopped working) and continued through about 2pm on Saturday. The rest of the staff members, spouses, and family members joined us at 9am on Saturday to move our desks, work computers, supplies, etc. so we were ready to work and fully support your businesses on Monday! We’ve settled in nicely and we are looking forward to the new opportunities and efficiency of our ‘forever’ home. We have a few more construction items to be completed before we can utilize our space to it’s maximum potential and hope to have that work completed in the near future. We really appreciate your patience and support during this big transition. If you have any questions please don’t hesitate to Contact Us! This entry was posted in Around the Office on March 8, 2016 by Carrie Saunders.